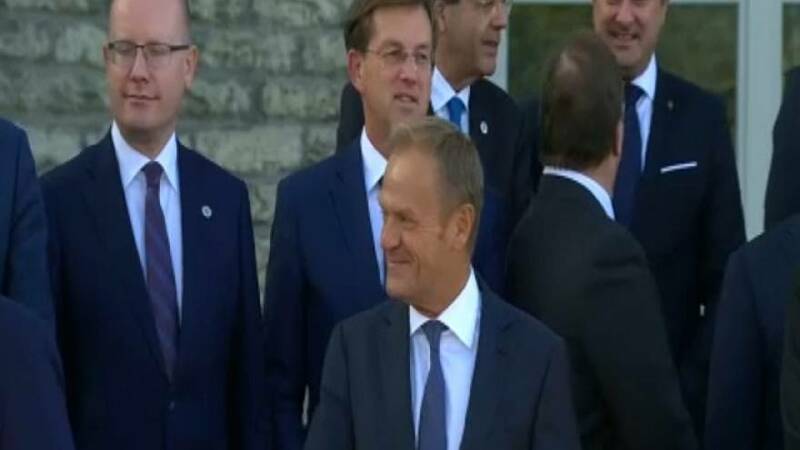 As EU leaders prepare to debate some turbulent issues at a summit in Brussels, the European Council’s president is stressing that unity must be at the heart of their discussions. Donald Tusk’s written a letter to them, saying that acting in unison is they only way to confront today’s uncertainties. He also emphasises the EU should be focusing on securing practical solutions, tackling politically sensitive issues. All with a view, Tusk says, to bringing backing a sense of stability, security and predictability. His letter comes in the wake of Britain filing for its divorce, and the continuing negotiations – which have hit stumbling blocks. Brexit, along with migration, Turkey and Iran are all set to be on the agenda of the two-day summit, which kicks off on Thursday. EU leaders will be looking to present a show of strength, as they feel the tremors beneath their feet.